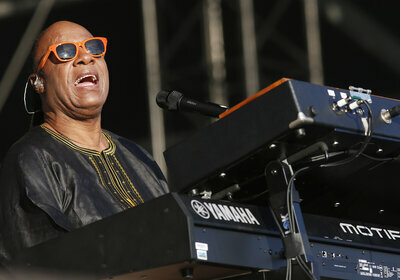 If Stevie Wonder had been born three decades later, we might never have gotten "Superstition" and "Isn&apos;t She Lovely" — but the musician might never have gone blind, either. Born premature, Wonder developed retinopathy of prematurity, an eye disease that afflicts more than half of babies born before 30 weeks of gestation. Though treatments were developed in the 1980s, about 400 to 600 U.S.children and50,000 children worldwide still go blind every year from the condition. Now a study suggests that number could be slashed by more than half if all those preemies received their mothers&apos; milk. "It makes sense that human milk can be protective against retinopathy of prematurity because we know it&apos;s protective against abnormal neurological outcomes in tiny babies," said Susan Landers, a neonatologist in Austin, Texas, and a member of the American Academy of Pediatrics Section on Breastfeeding Executive Committee. "Retinal tissue is just like neural tissue embryologically; it grows from the same immature cells." 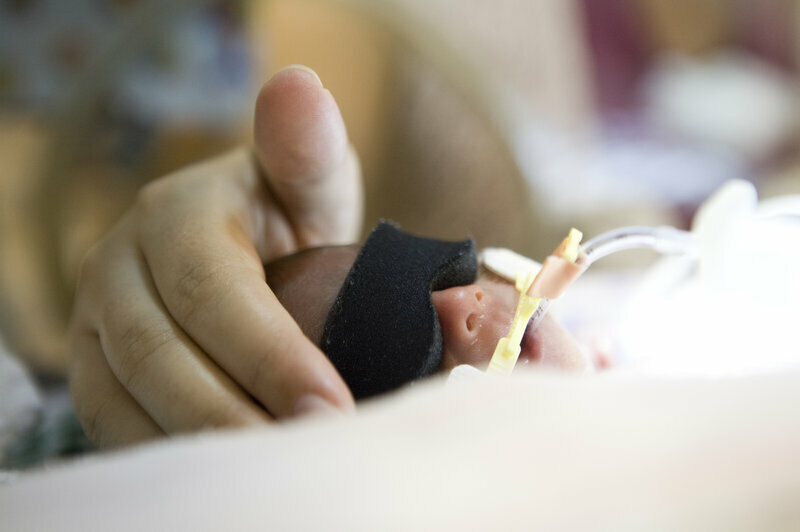 The study, actually a combined analysis of five studies from 2001 through 2013, found that preemies receiving human milk from their mothers had 46 to 90 percent lower odds of retinopathy of prematurity (ROP), depending on how much milk they received and how severe the ROP was. The studies were observational, so they cannot show that breast milk directly caused the lower risk. "This is a very provocative study, and it does open new questions in new areas for research, but I think it&apos;s too early to conclude that breast milk prevents ROP," said Michael Chiang, a professor of ophthalmology and medical informatics at Oregon Health & Science University&apos;s Casey Eye Institute who was not involved in the study. It was published online Monday in the journal Pediatrics. Of the infants who develop ROP, most recover and develop well without treatment, but about 10 percent develop severe ROP, increasing their risk of blindness, Chiang said. About half those infants need treatment, which will prevent blindness in 80 to 90 percent of them. The new research analyzed the outcomes of 2,208 preterm infants based on whether they received exclusive human milk, any human milk, mainly human milk (more than 50 percent), exclusive formula, any formula or mainly formula. The study did not include donor milk, so all the milk was the mother&apos;s pumped or hand-expressed breast milk. Infants who exclusively received breast milk had 89 percent reduced odds of severe ROP compared to infants who received any formula. Infants who received a mixture of breast milk and formula had roughly half the odds of developing severe ROP compared to infants exclusively receiving formula. The analysis included a very large older study that had found no reduced risk for ROP from breast milk, but most infants in that study received less than 20 percent breast milk. "Despite including a negative study with large numbers, the results are still very, very significant," said Landers, who was not involved in the study. "That strengthens this study considerably." Until the 1940s and 1950s, ROP did not exist because infants born prematurely rarely survived, Chiang said. As doctors learned to how to keep these tiny babies, usually little more than 3 pounds at birth, alive, they discovered that the blood vessels in their retinas would often start to grow out of control. If the abnormal growth continued, their retinas detached, causing blindness. The first treatment developed in the 1980s was cryotherapy, which slowed blood vessel growth. Laser treatments later replaced cryotherapy and have remained the standard of care since. The newest treatment is bevacizumab, a drug made from humanized antibodies that slows the growth of new blood vessels. The cause of ROP isn&apos;t entirely understood, but scientists believe oxidative stress can stimulate the abnormal growth of the blood vessels. Providing preemies with oxygen is often key to their survival, but that oxygen exposure might lead to ROP, according to Jianguo Zhou, a neonatologist in Shanghai, and lead author of the study. The antioxidants in breast milk offer one possible way that breast milk could prevent ROP, Zhou explained in an email. But the preventive mechanism could be indirect as well. "Breast milk, specifically maternal breast milk, has been shown to be associated with reduced risk of many severe complications of prematurity, including a severe gastrointestinal disease called necrotizing enterocolitis," said Tarah Colaizy, an associate professor of pediatrics and neonatology at the University of Iowa Carver College of Medicine. "It has also been shown to decrease the risk of potentially life-threatening blood infections, and there is some evidence that the severity of lung disease due to prematurity is reduced in infants fed maternal milk." Infants without these complications may receive less oxygen therapy, thus lowering the incidence of ROP, Zhou pointed out. Among 2 million infants born before 32 weeks each year worldwide, Zhou estimates that a tenth of them could develop severe ROP. "Theoretically, exclusive human milk feeding could potentially prevent 8 percent (160,000) very preterm infants from severe ROP globally," Zhou wrote. "That is an enormous influence and prevents thousands of preterm infants from blindness or visual impairment." ROP is still rare in places with the poorest health infrastructure because very premature infants still do not survive, but in China, India, Latin America and Eastern Europe, the problem is growing as doctors keep the infants alive but lack the neonatology and ophthalmology expertise to screen for and treat ROP. Even in the US where treatment is more available, screening may not be. "Especially in rural and medically underserved areas, there&apos;s not enough supply of ophthalmologists to do these exams," Chiang said. "It&apos;s a huge problem in the US and internationally." But providing exclusive maternal milk to preemies is easier said than done, Landers said. The biggest barrier is adequate lactation support for mothers in the NICU as well as the psychological complexity of the issue for mothers themselves. "It&apos;s a very stressful time, and expressing milk is the only thing that moms can do, so we put a lot of pressure on them," Landers said. Some mothers don&apos;t fare well under that pressure. The mothers need to start pumping within 12 hours of birth, as well as instruction in expressing milk and support and encouragement over the three or so months she will need to pump before her baby can breastfeed. "As hard as it is to get them started on pumping, it&apos;s harder still to keep them going," Landers said. Even greater cultural obstacles exist among poor and African-American mothers, Landers said, but donor milk may not offer the same benefits, possibly because of its processing and storage needs. "To give these mothers the best chance of providing milk, the health care system needs to provide them with professional help in the form of lactation consultants with specific expertise in preterm infant-mother pairs, the appropriate breast pumps and supplies to collect and store milk and assistance in transportation to get the milk to the NICU for the baby," Colaizy said. "For these extremely fragile infants, maternal breast milk is a potentially life-saving intervention, and we should do everything possible for mothers to help them provide it."